$10 - Donation - Thank you! 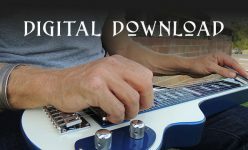 You will receive a digital version of the new album, delivered via email, as soon as it is ready to go out! You will be among the first to hear it because you won't need to wait for the postie! Signed 'Hard-Copy' of the New Album! Signed, sealed, delivered - it's yours! You will be among the first to get your hands on a copy of Thor's brand new album. We expect to have it in our hands by the end of April, and as soon as we do Thor will sign it, and send it your way. You will also get a thankyou note - we are so very grateful for your support! Postage is included for Australian residents only. A $10 fee applies to international postage. 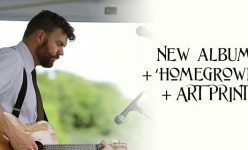 This reward will get you a signed copy of the new album as soon as it is out, PLUS Thor's 1st album 'Home Grown', PLUS an exclusive A5 Print based on the album artwork by Jasmine Phillips. Postage within Australia is included, and international postage is capped at $10. 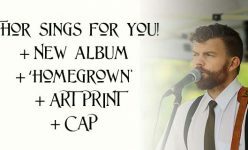 Get a signed copy of Thor's brand new album , PLUS his 2014 album 'Home Grown', PLUS an A5 exclusive art print (by Jasmine Phillips) PLUS a Thor Phillips Cap! How sweet is that! Postage within Australia is included. International postage extra. Got a favourite song you would love to hear Thor play and sing? You choose the song and we record it and put in a online video for you to watch. 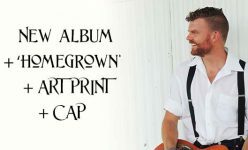 Plus you will get a signed copy of the album, an A5 Art Print and a Thor Phillips cap! 2 hour lesson - Plus Album and Merch pack! A private 2 hour guitar/dobro/banjo/singing and/or songwriting lesson with Thor! This reward is only available within 100 kilometres of Lismore, NSW... or you have the option to have your lesson via Skype. With this reward you also get a signed copy of the New Album, plus 'Home Grown' Album, and a Thor Phillips cap. 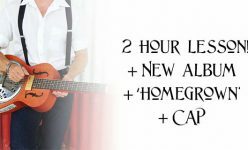 This reward will get you a 75 min solo house concert with Thor Phillips for you and up to 60 friends! do apply* Dates must be negotiated around prior commitments (not all dates available) and agreeable to by both parties. 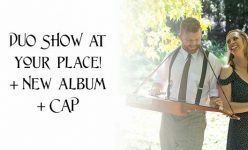 You also get a signed CD and a Thor Phillips cap! What an awesome party, celebration, wedding this would make! 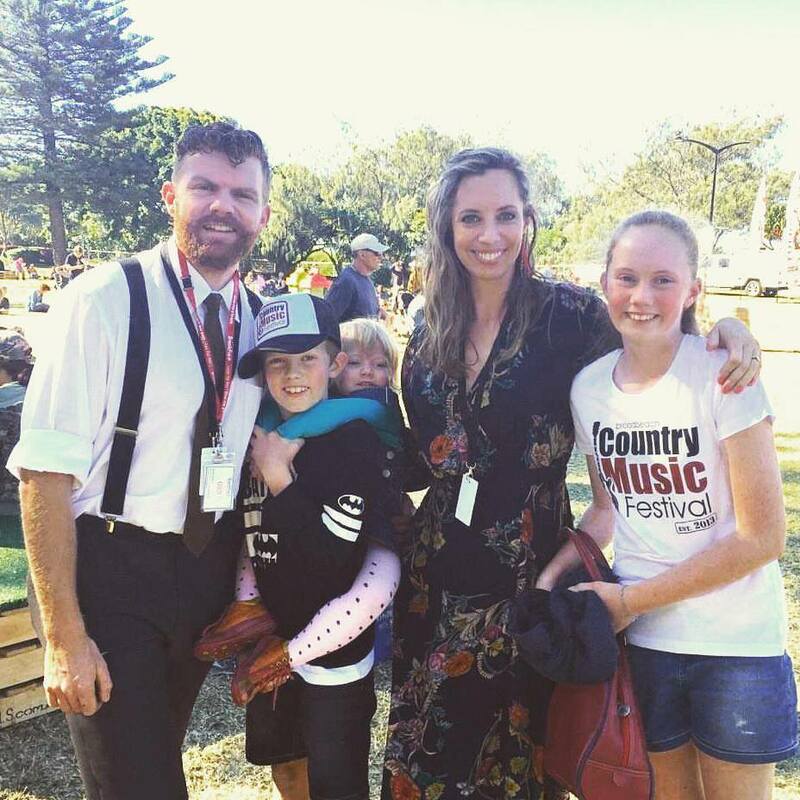 Thor and Jasmine will travel between Armidale and Brisbane (check with us about your location if in doubt) and perform a personal house concert for you and up to 60 friends. Dates to be negotiated, please note not all dates are available. You will also get a signed copy of the new album, and a cap. Thor Phillips is one of Australia’s rising musical talents. Born and raised in the Northern Rivers of New South Wales, he first started playing guitar at the age of 4, inspired by rock and blues legends, as well as country and folk music. 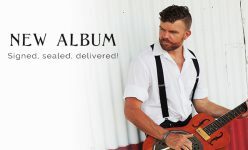 He has been a professional musician for over 10 years, performing everywhere from large national music festivals (Tamworth CMF, Broadbeach CMF) to small halls and private events. His personal music style melds genres between Alt. Country, Bluegrass, and Folk with influences of Blues and Rock… his music is always heartfelt, and always honest . 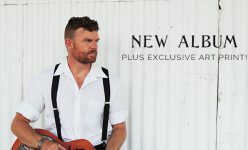 Thor has been described as having the heart of Aussie country legend Troy Casser-Dalley, with the dobro chops of Jerry Douglas and the energy of America’s Infamous Stringdusters. Big shoes to fill… and yet Thor’s performances never dissappoint. This campaign is to help secure pre-sales for Thor’s upcoming Album, expected to be released in late April 2018. It will be a 14 track album, all Thor’s original music. He will be playing guitar, dobro, banjo and vocals on the tracks, and will also be joined by other talented and experienced musicians. The album is being partially recorded at a local community hall near Thor’s home, and partly in his recording studio. It will be mastered by Paul Blakey from 12th and Vine on the Gold Coast, with album artwork and design by Jasmine Phillips (Thor’s wife) from Wild Honey Creative. Why pledge your support to this campaign??! Maybe you love Thor’s music anyway, and planned on buying his album when it come out. Maybe you love supporting local talent. Maybe you want to send this musician and father your support. Any and all of those reasons are good ones! Support this campaign by making a donation, prepurchasing an album (with tiered rewards! 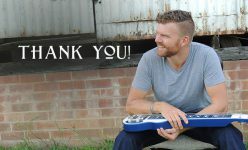 ), or booking Thor to play at your house/party/wedding as part of this campaign will help hugely! It will mean we can cover some of the production costs that go into making this album, including the CD reproduction, paying musicians to feature on the album, mastering and merchandise. All campaign supporters will get access to a private Facebook Group where Thor will share the process and progess of making the album. In the group, you can ask Thor technical questions about the process, hear the stories behind the new songs, be the first to see album artwork, and pretty much have a backstage pass to the making of it! We will send you a link to the group via email once your pledge is received. All pledge levels will be invited to the private Facebook Group via email. More than just purchasing the CD, supporting this campaign also shows Thor and his family that he has your support and encouragement! That alone can mean the world to an artist and give them the confidence they need to reach new heights. Thor put if beautifully in his song ‘Burning Snow’ (from the Home Grown Album, 2014) “It seems like every door is closed with a guitar in your hand… Making music made for the devil’s stage that only angels understand”. If you are not able to contribute or make a pre-purchase, we still value your good wishes & support so much! Please share this campaign with your friends and family, or perhaps share a song of Thor’s that you love and let people know why or what it means to you – that is a huge gift of support in itself. Please note this is a PRE-SALE CAMPAIGN – The album is not yet ready to post. You will receive your album and any merch that is part of your reward tier in one go as soon as it is available. We are hoping this will be by the end of April 2018, though it is hard to factor in an exact timeline due to mastering and reproduction scehuldes with our suppliers. We will keep you fully informed via email updates and via the private Facebook group. If you are selecting a ‘Thor Sings For You’ reward, we will endevour to have these completed and video sent to you within 3 weeks of your pledge. You can email thorphillipsmusic@gmail.com with your song request. If you are selecting a ‘Lesson with Thor’ as your reward – in-person lessons will only be conducted within 100 kilometres of Lismore, NSW. Thor may be willing to travel further but please email thorphillipsmusic@gmail.com first to check. You can also opt to have your lesson via Skype. It can be on the guitar, dobro, banjo or a vocal or songwriting lesson – or a combination of any of these, up to 2 hours in one single session. Classes must be booked and used before the 30th September, 2018 on a date and time mutually agreed to by Thor and the student. If you are selecting a ‘House Concert’ Reward, either solo or duo, please be aware that some conditions do apply. This reward is for private parties or occasions only, not commercial venues. 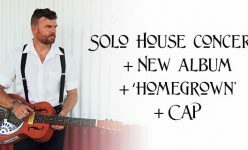 We are happy to travel throughout most of the Granite Belt, Northern NSW, Gold Coast and Brisbane but if you are unsure about your location please email us before selecting a House Concert Reward. Some travel charges may apply if out of the area listed. House concerts must be booked and used before the 30th November 2018. Not all dates are available and the date will need to be mutually agreed on by both Thor and the host. Max of 60 guests. We do have the right to refuse performance if the location, venue or number of guests is not inline with a ‘small house concert’, or if we feel it may be unsafe.